Planning Your 2013 Marketing Budget? You Have To Read This! Invest more time and money on customer support. 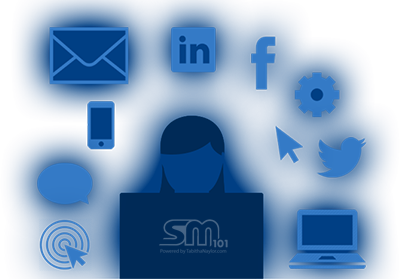 With all the social media tools available that connect your business to consumers, you should maintain your presence and activeness on all avenues. Now, consumers expect a fast turnaround on you addressing their questions, comments, suggestions, or complaints. Oracle reports that customers expect a response within two hours on Twitter or 24 on Facebook. Any longer than that, people may think that you don’t care and it can be detrimental to your business. Work hard as a team. Make sure that the people in charge of your marketing, information and technology work together. As the need for more quality content and better use of online tools arises, it is best to plan and execute everything together. Well implemented marketing campaigns with quality content that is relevant to the consumer increases the satisfaction and loyalty of clients. Listen to want your consumers want. The behavior and goals of consumers change as fast as technology. It is best to be informed of what your customers need and want. Constantly be on the look out for these so that you can immediately tailor fit your marketing strategies to address these. Have “emergency” marketing funds. Do not tie down your entire marketing budget to specific efforts right away. Make sure that you have money that you can tap whenever there is an opportunity to be dynamic with other marketing tools. If you commit all your money right away, you might miss out on sudden breaks that your brand can benefit from. There may be relevant fads or trends that suddenly peak and you can ride on that.